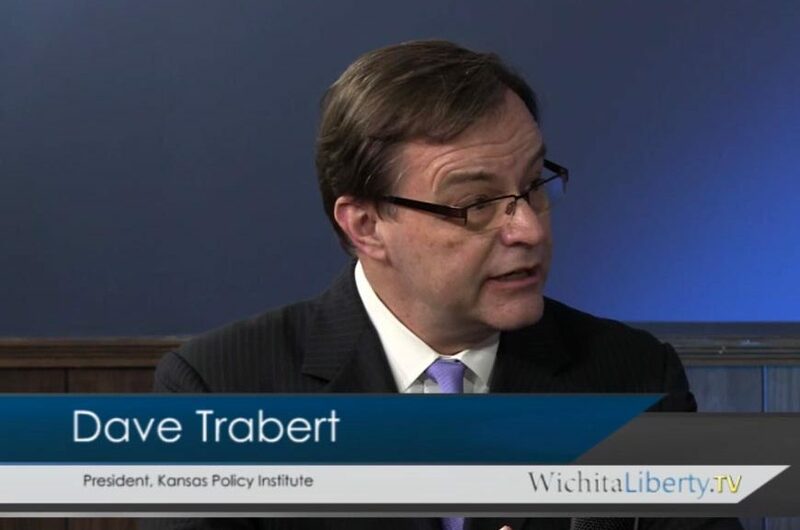 In this episode of WichitaLiberty.TV: Dave Trabert of Kansas Policy Institute joins Bob and Karl to discuss his new book What Was Really the Matter with the Kansas Tax Plan –- The Undoing of a Good Idea. View below, or click here to view at YouTube. Episode 186, broadcast March 3, 2018. 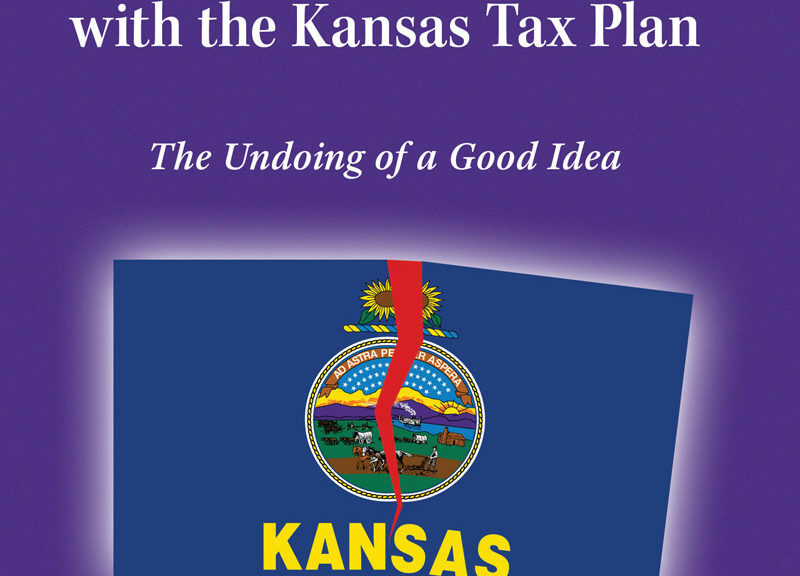 Tax relief opponents have repeatedly pointed to the 2012 Kansas tax plan as their primary example of why tax cuts do not work. But, other states like North Carolina, Indiana, and Tennessee contemporaneously, and successfully, cut taxes. 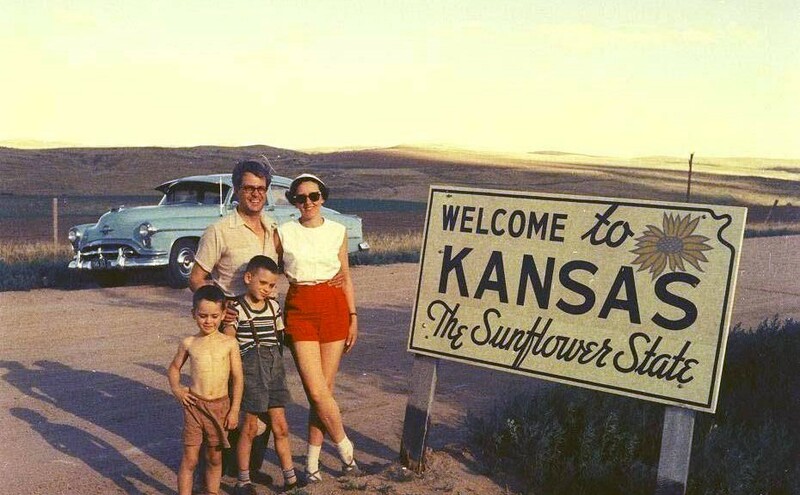 What was different about the Kansas experience? 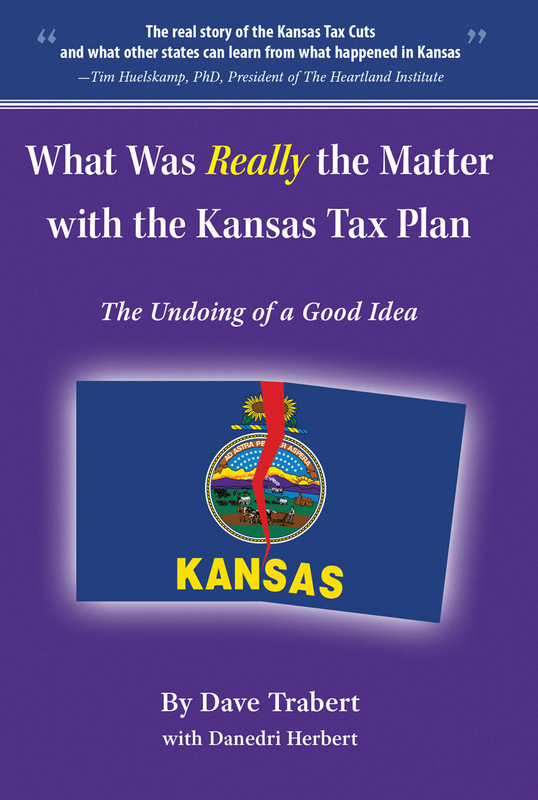 The answer to that question is multi-dimensional according to a new book from Kansas Policy Institute, entitled What Was Really the Matter with the Kansas Tax Plan — The Undoing of a Good Idea. The book covers the six years between the conception of Brownback’s tax cuts in 2011, the tax package being signed into law in 2012 and later repealed with the largest tax hike in state history in 2017. It documents the many mistakes that occurred, a toxic political undercurrent, and several unrelated economic circumstances that negatively impacted the budget and multiple misconceptions along the way. Don’t cut revenue and increase spending. Explain why tax relief is necessary (i.e., what are the consequences of not reducing the tax burden). Develop a comprehensive plan to balance the budget on less tax revenue, with room for the unpredictable but inevitable misfortunes (like plummeting oil and farm commodity prices). Have the right systems in place, including performance-based budgeting and a reliable revenue estimating process. To ensure that lawmakers have this information as they work in statehouses around the country, nearly 8,000 complimentary copies are being distributed to every state legislator across the country in partnership with The Heartland Institute. 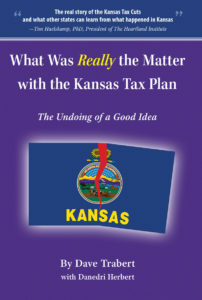 What Was Really the Matter with the Kansas Tax Plan is published by Jameson Books, Inc. and copies will be available on Amazon. 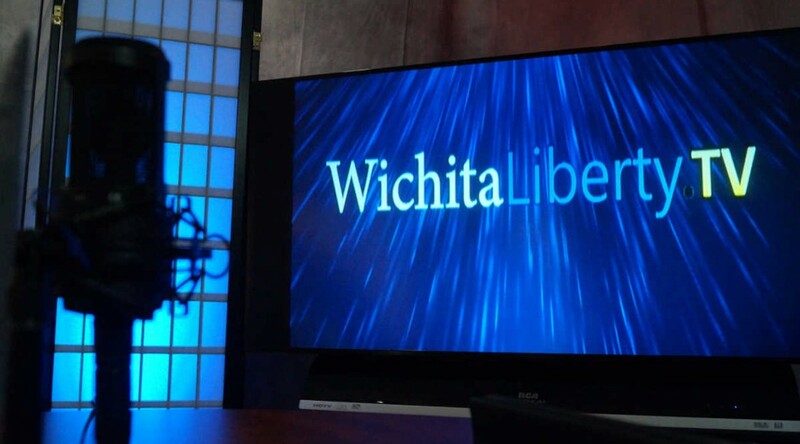 In this episode of WichitaLiberty.TV: Radio Host Andy Hooser of the Voice of Reason appears with Bob Weeks to discuss issues in state and national political affairs. View below, or click here to view at YouTube. Episode 177, broadcast December 23, 2017. Printable tables of voting on legislation that raised taxes in Kansas. Important action on this bill took place on June 5 and 6. 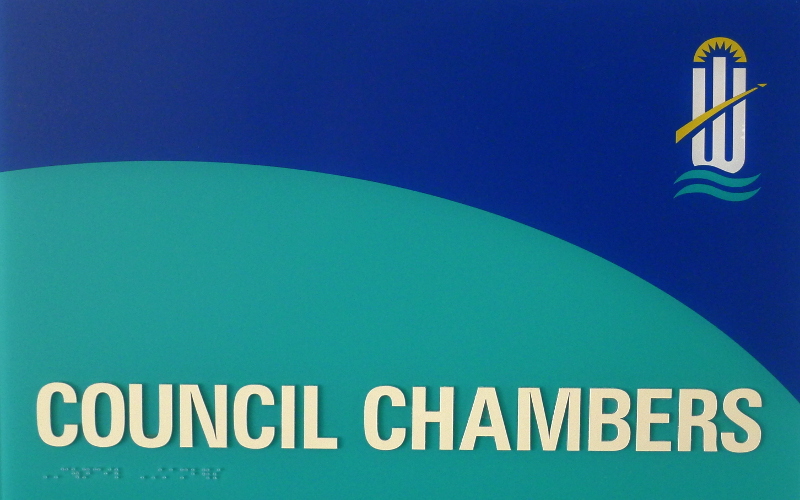 On the first day, each legislative chamber passed a conference committee report. That’s a version of the bill that’s produced by a committee of three members of each chamber. It resolves differences between the bills passed by each chamber. The report is then sent to each chamber for a vote where no amendments are allowed. This report passed both chambers and was sent to the governor. The governor vetoed the bill, so each chamber then had a chance to override the governor’s veto with a vote of two-thirds of its members. The override was successful, and SB 30 became law. For the first vote in the House, which passed with a fairly narrow margin of six votes over what is required, a number of Democrats voted Nay, presumably because they thought the tax increase was not large enough. On the vote to override, all Democrats except one voted in favor of higher taxes, and quite a few Republicans switched their votes from opposition to higher taxes to voting in favor of higher taxes. In the Senate the vote was more consistent. The first vote passed with 26 votes. The second vote, which required 27 votes to be successful, achieved exactly that number, as one Republican senator switched to vote in favor of higher taxes. In the downloadable and printable pdf tables, notable votes are indicated. For vote 2, the override vote which passed the bill into law, Republican votes are indicated. Additionally, those members who changed their support of higher taxes from vote 1 to vote 2 are indicated. For House of Representatives votes, click here. 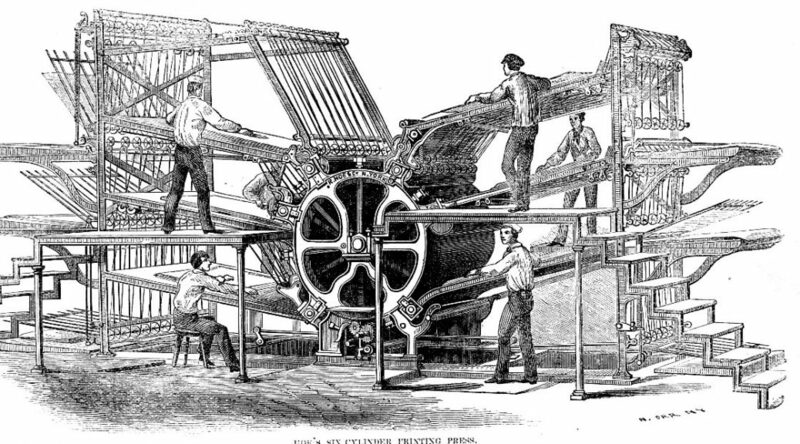 For an abridged version that prints on one page, click here. For Senate votes, click here. To find who represents you in the Kansas Legislature and other offices, use Kansas Voter View, specifically this form. Of note, the two votes mentioned above are not the only votes on SB 30. 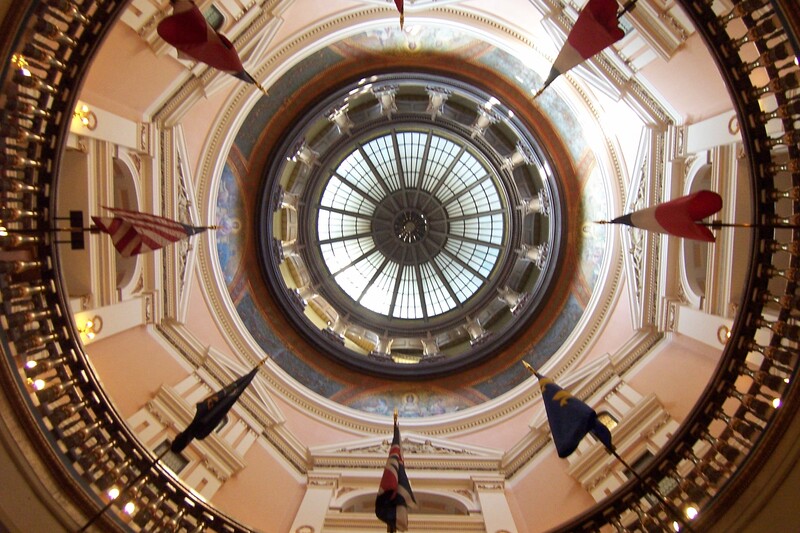 The bill started its legislative journey as a bill titled “An act concerning sales taxation; relating to the Kansas retailers’ sales tax act.” Later all language in the bill was deleted and an entirely new bill was created, although it retained the designation SB 30. Votes taken before that time are not relevant to the final purpose of the bill. Kansas Governor Sam Brownback may exercise a line item veto over any item in the just-passed budget and school spending bills. Here are a few ideas that deserve the veto. This is the type of spending that needs to be vetoed. Except: There is no line in a bill that designates this spending. Instead, this “spending” in the form of savings not realized. The governor should veto SB 19, the school funding bill, in part or in whole. Such a veto, along with a likely override, would send a message to Kansas taxpayers that the legislature chose to spend this money instead of pursuing needed efficiency. 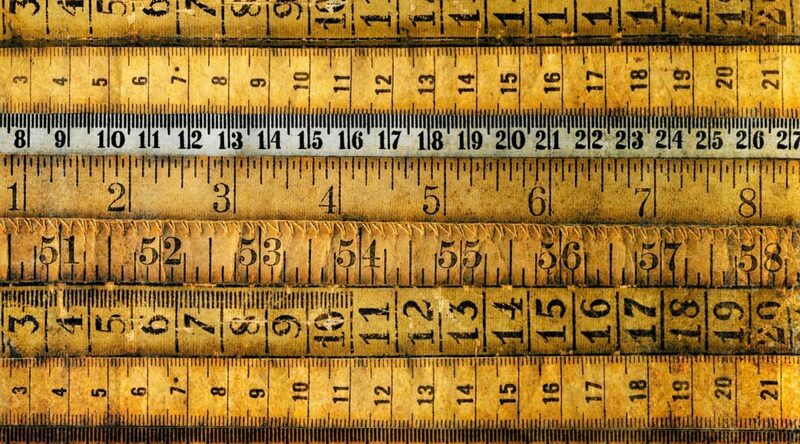 A politician’s boasting should not be the yardstick for policy. Despite Professor Flentje’s claim, there is much evidence that higher taxes, especially higher income taxes, mean lower economic growth. 1 2 3 (There’s also the side benefit of leaving more money in the hands of those who earned it, rather than transferring it to the wasteful public sector.) Cutting taxes — or raising taxes, for that matter — is a treatment that influences things in one direction. If other more powerful forces influence things in an opposite direction, it doesn’t mean the original treatment didn’t work. In the case of Kansas, think how much worse things might be if not for the stimulative effect of the tax cuts. Still, Governor Brownback should have been more measured in his remarks — or his bluster. He shouldn’t have followed the example of President Barack Obama. He, right after becoming president, promised that the unemployment rate would not top eight percent if his stimulus bill was passed. That plan passed. actual unemployment rates. (The accompanying article is Revisiting unemployment projections. That chart and article were created in 2011. I’ve updated the chart to show the actual unemployment rate since then, as black dots. The data shows that the actual unemployment rate was above the Obama administration projections — with or without the stimulus plan — for the entire period of projections. The purpose of this is not to defend Brownback by showing how Obama is even worse. (Disclosure: Although I am a Republican, I didn’t vote for Brownback for governor.) Instead, we ought to take away two lessons: First, let’s learn to place an appropriately low value on the promises, boasts, and bluster made by politicians. Then, let’s recognize the weak power government has to manage the economy for positive effect. Indeed, the lesson of the Obama stimulus is that it made the unemployment rate worse than if there had been no stimulus — at least according to the administration projections. 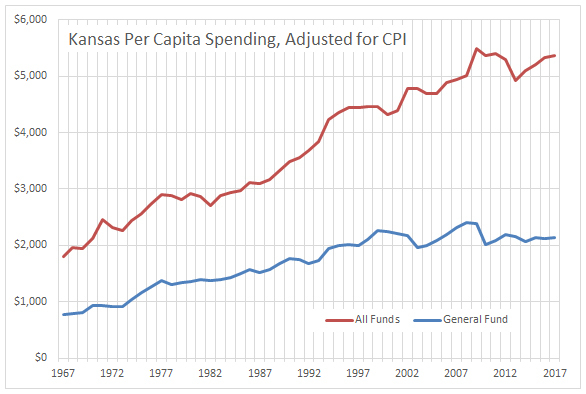 Governor Brownback was right to cut taxes because Kansas taxes were too high. There are useful lessons we can learn from the criticism of Kansas Governor Sam Brownback, including how easy it is to ignore inconvenient lessons of history. Tax cuts in Kansas were promised by Governor Brownback to be a “shot in the arm” for the Kansas economy. Opponents of the governor and tax cuts take great delight in reporting the generally anemic growth of the Kansas economy since then. Month after month, the tax cuts are condemned by Kansas newspaper editorial writers and the governor’s detractors. I don’t think it’s a particularly strong form of argument to defend someone by showing how someone else is equally as bad — or worse. Similarly, criticizing someone for their fixation on A while they ignore the equally bad B: We need to know why they ignore B. Have they forgotten B? Do they not have time to write about B? Or do they ignore B because the fact of B is inconvenient to their ideology or their criticism of A? But I see that not everyone shares these ideals, and even so, perhaps we can learn something. Many people remember that President Barack Obama warned that the unemployment rate would rise to a high level without a stimulus program. I can’t find that he mentioned a specific number that the unemployment rate would rise above. 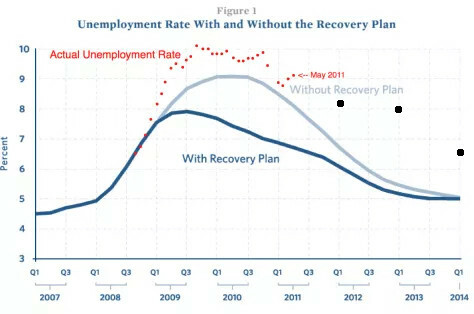 But in January 2009 two Obama administration officials, including Christina Romer (who would become chair of the Council of Economic Advisers) wrote a paper estimating what the national unemployment rate would be with, and without, the American Recovery and Reinvestment Plan, commonly known as the stimulus.1 That plan passed. The purpose of this is not to defend Brownback by showing how Obama is even worse. (Disclosure: Although I am a Republican, I didn’t vote for Brownback for governor.) Instead, we ought to take away two lessons: First, let’s learn to place an appropriately low value on the promises and boasts made by politicians. Then, let’s recognize the weak power government has to manage the economy for positive effect. Indeed, the lesson of the Obama stimulus is that it made the unemployment rate worse than if there had been no stimulus — at least according to the administration projections. And, there is one more lesson to learn about our state’s newspaper reporters and editorial writers, but I think you’ve discovered that already. Duane Goossen was Kansas budget director from 1998 to 2010.1 He is critical of the administration of Kansas Governor Sam Brownback and recent sessions of the Kansas Legislature. It’s useful to examine his writings so that Kansans may become aware of the ramifications of his recommendations, and how during his years as budget director he was unable to adhere to the principles he now advocates. Following, some language from his recent article Rise Up, Kansas. Comprehensive tax reform. That sounds good, as “reform” has a positive connotation. It means change for the better. But in this case reform means raising taxes, and by a lot. In fact, advocates of tax increases generally won’t say by how much they want to raise taxes. A spokesperson for the Option 4 coalition argued that rolling back the tax cuts could increase revenue to the state by $1 billion. By the way, the Option 4 coalition did not call for the rollback of the sales tax increase passed in 2015. I should qualify that with apparently, as no handouts explaining Option 4 can be found. In addition, an audio recording of the press conference has been removed. Commonsense basics. Who could be against that? Yet each of these terms is a call for more and higher taxes. 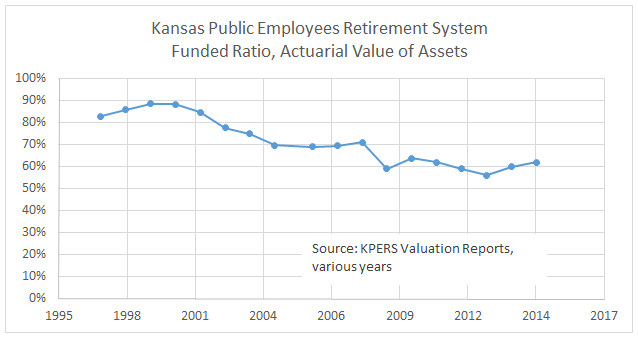 The Kansas credit rating has declined. 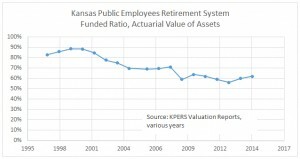 In making this decision, Moody’s mentioned “revenue reductions (resulting from tax cuts) which have not been fully offset by recurring spending cuts.4 So Kansas has a decision: Offset revenue reductions with higher taxes or spending cuts. Moody’s doesn’t care which is chosen, but Goossen and the spending coalition does. Moody’s also mentioned “In recent years the state has appropriated funds from or shifted costs to the State Highway Fund to help balance the general fund budget.” This too, is an ongoing problem.6 “Raiding the Bank of KDOT” has been a problem for many years, including the years when Duane Goossen was Kansas budget director. Spending in Kansas. Click for larger. 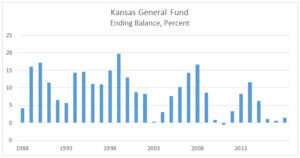 Kansas General Funding ending balance. Click for larger. Kansas Governor Sam Brownback addressed a luncheon gathering at the Wichita Pachyderm Club to set the record straight on what he called myths. Recorded on October 14, 2016. 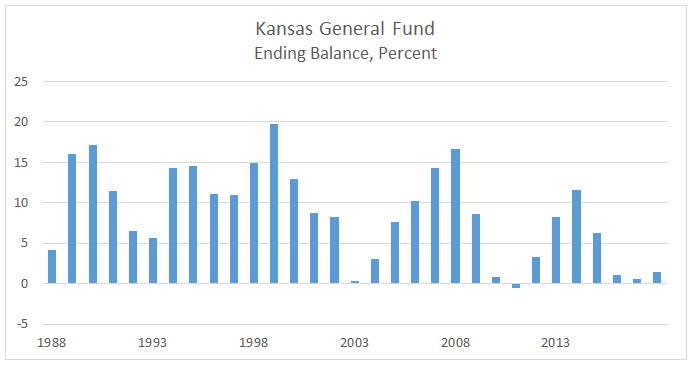 The Kansas tax plan is failing. Kansas schools have been cut. 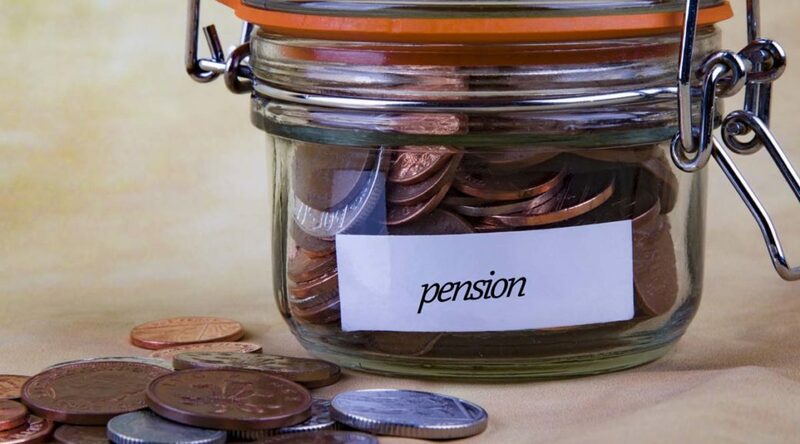 State employee pensions are severely underfunded. Welfare numbers are down because we are kicking people off. Vulnerable Kansans aren’t being served. Kansans are fleeing to Missouri. View below, or click here to view at YouTube. The editorial boards of two large Kansas newspapers have shown how little effort goes into forming the opinions they foist upon our state. Here, the newspaper argues that transferring money from the state’s highway fund has led to a loss of construction jobs in the state. Fortunately, there are some institutions and people in our state that will actually look at statistics to see what they mean. And if the editorial board of the Capital-Journal had done this, they would have realized they were fed a line of hooey by a self-interested lobbyist. You see, the “Totten” the newspaper cited as an authority is Bob Totten, Executive Vice President of Kansas Contractors Assocation.2 His job is to agitate for as much spending as possible to benefit his members. It matters not if the spending is wise or needed. The members of Kansas Contractors Association would happily build the proverbial bridge to nowhere, as long as they were paid. Had the Eagle bothered to examine Mr. Totten’s claim, they would have learned that only 2 percent of the construction job decline was attributable to highway construction and that the loss of 100 jobs is less than 1 percent of total highway jobs. In addition to learning that Mr. Totten was grossly exaggerating, they would have learned that employment for construction of new homes and non-residential buildings showed very nice growth and the real problem is in specialty trade contractors for non-highway projects. I verified these statistics and reported them in my article Kansas construction employment. I built an interactive visualization that anyone can use to explore this data. The upshot is that Kansas highway construction jobs declined slightly, but the bulk of the job loss in construction was in other types of construction. Not in highway construction, as the highway construction lobbyist told Kansas editorial writers. This is a sad episode in Kansas newspaper journalism. The editorial boards of two newspapers — one the state’s largest — accepted as true the claims of a lobbyist, apparently without spending a moment in verification. Both newspapers have staffs of reporters, some of which I’m sure are capable of accessing the Bureau of Labor Statistics to gather a few statistics and perform an independent investigation. But that didn’t happen. Instead, it appears that these two newspapers accepted the claims of the Kansas Contractors Association at face value because it fit the editorialists’ world view — that view being that Sam Brownback is bad, state spending on everything has been slashed, and the only thing to do is raise taxes. That’s an opinion, which is what newspaper editorial boards produce. Now Kansans know just how uninformed are these opinions. 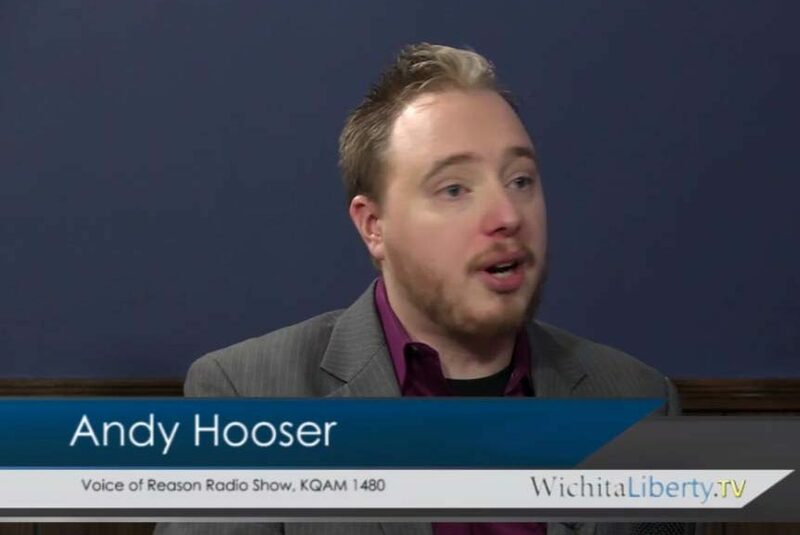 From the Wichita Pachyderm Club this week: Radio Host Joseph Ashby, host of The Joseph Ashby Show. His talk focused on the administration of Kansas Governor Sam Brownback. Bob Weeks provided the introduction. This is an audio presentation recorded on August 26, 2016. Kansas taxpayers should know their tax dollars are helping staff campaigns for political office. Not all Kansas state government employees can work on campaigns while being paid by taxpayers. Only personal staff members of elected officials can. But this can be quite a large number of people. The Eagle reports that Governor Sam Brownback has 21 personal staff members. It’s not only the governor that has taxpayer-paid employees on the campaign trail. The Eagle also reports that a member of Senate President Susan Wagle‘s office has been on the campaign trail. The photo, posted on June 14, a Tuesday, includes Ashley Moretti, a member of Brownback’s staff, and Eric Turek, who works for Senate President Susan Wagle, R-Wichita. The first question the taxpayers of Kansas ought to ask is this: If these taxpayer-paid staff members have time to work on political campaigns, who is doing the work of the people of Kansas in their absence? What tasks are postponed so that these staff members can work on campaigns? The answer to this question, I’m afraid, is that there are too many staff members. The second question we should ask is this: Why is this practice allowed? There is a ruling from the ethics commission that allows this use of personal staff. Which leads to the third question: Why hasn’t the legislature passed a law to prohibit this practice? The answer to that last question, I’m afraid, is that the ruling class protects its own. For example, there is an organization known as the National Republican Senatorial Committee. Its job is to re-elect Republican senate incumbents. It doesn’t say this, but that is what it does. This is representative of the attitude of the political class. Once most officeholders have been in office a few years, they comfortably transition to the political class. Thereafter, their most important job is their re-election campaign, followed closely by the campaigns of their cronies. This is why you see Brownback and Wagle lending taxpayer-funded staff to the Suellentrop campaign. Should he be elected to the Kansas Senate, well, how can’t he be grateful? Here’s what needs to happen. Third. 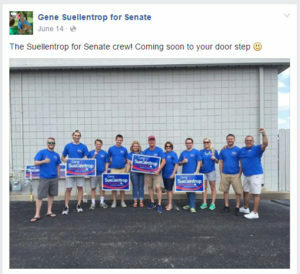 Brownback and Wagle need to send staff to work for Suellentrop’s Republican challenger to the same degree they worked on the Suellentrop campaign. Either that, or make a contribution of the same value of the campaign services these taxpayer-funded Kansas state government workers supplied. Any other candidate in a similar situation — that of having taxpayer funds used to campaign against them — should receive the same compensation. Now, some may be wondering how is this different from the governor endorsing senate candidates in 2012. It’s one matter for an officeholder to endorse a candidate. It’s an entirely different matter to send taxpayer-paid staff to work on campaigns. I hope that didn’t happen in 2012. Fourth. 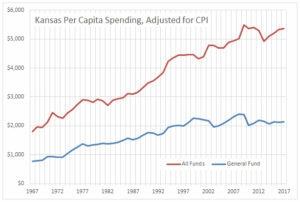 Apologies to Kansas taxpayers are in order, as is a quick legislative fix. And, a reduction in personal staff members, as — obviously — there are too many. Finally, thanks to the Eagle’s Bryan Lowry for this reporting. This site recently published an extensive critique of HB 2615, a bill that would protect doctors and health care professionals providing free charity care and reward them with a minor licensing incentive, and the author encouraged Gov. 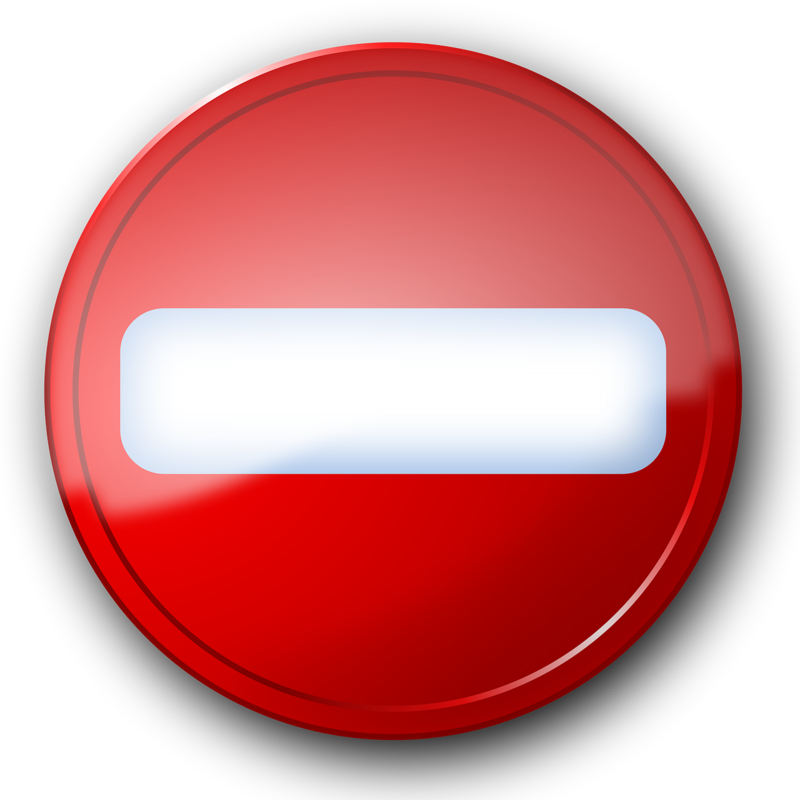 Brownback to veto the bill. Mr. Weeks has graciously allowed me, as a supporter who worked on behalf of HB 2615, to issue a response to his article. I truly appreciate the opportunity to present another side. I agree that we do need to reconsider and reform occupational licensure across the board and we absolutely should expect medical professionals to stay current in their field. And while Continuing Medical Education credits are one way, they aren’t the only way to achieve that goal. In fact, Kansas already allows doctors to receive CME credits for a range of non-educational activities. What’s more important though is the stifling effects abusive medical malpractice lawsuits which often benefit lawyers more than patients can have on the amount of free care doctors and health care professionals are willing to give. This means doctors and others offer less charity than they otherwise would while our low-income neighbors struggle to get access to the health care services they need. HB 2615 seeks to change this by reducing government barriers and freeing medical professionals to provide high-quality care to those who need it most. HB 2615 doesn’t increase regulations on medical professionals, but eases the burden of existing continuing education regulations and rewards them for giving their time and talents to voluntarily serve those who can’t afford care. It also extends liability protections provided by the Kansas Tort Claims Act to medical professionals who choose to volunteer serving those in need so that the fear of a frivolous lawsuit doesn’t stand in the way of doing good. Although Kansas currently requires physicians to participate in 50 hours of continuing medical education annually (which they often pay for out of their own pockets), the law divides continuing education hours into two categories. Category I hours are the kind we typically think of when it comes to continuing education — the structured, academic lectures or workshops where physicians get up to speed on the latest medical research and techniques. 1 Every Kansas physician is required to earn 20 hours of Category I credit each year. 2 This doesn’t change with HB 2615. The remaining 30 hours, then, may be earned from Category II, which is considerably more flexible. 3 A physician can earn Category II hours in a number of ways like “participating in journal clubs,” having “patient-centered discussions with other health care practitioners,” and (my personal favorite) “using searchable electronic databases in connection with patient care activities.” 4 The hours that physicians would earn for charitable care provided under HB 2615 fall under Category II, meaning that they will still have to earn the same 20 hours of critical Category I hours in order to maintain licensure. If we allow physicians to earn Category II credits for writing journal articles or Googling a patient’s symptoms, why shouldn’t we reward them with a few Category II hours for voluntarily providing a child with an inhaler to provide relief from his asthma symptoms, or treating a mother’s high blood pressure? HB 2615 is a proven bi-partisan solution that works to provide care to our friends and neighbors in need by reducing regulatory barriers and unleashing the power of charity to immediately improve access to quality medical care. In 1993, the state of Florida instituted the nation’s first volunteer health services program, which served as the model for HB 2615. Since that time, volunteers in the Sunshine State have provided more than $2.8 BILLION in care to those in need. Each year, nearly 500,000 free patient visits are provided by the state’s top medical professionals valued at more than $300 million. 5 All this happened not through a government program, but because the government recognized that the local community was better equipped to handle a problem, so it got out of the way. While the data is impressive, HB 2615 is about changing lives. Recently, I had the privilege of speaking with a doctor in Orlando who has dedicated her career to providing volunteer medical services. She told me a powerful story of a truck driver who lost his job because of severe diabetes. Since he was unable to work, he did not have insurance to get the care he needed to get his diabetes under control. Fortunately, he lived in the community where this doctor worked and he was able to get the treatment and care he needed. Eventually, his health improved, which allowed him to go back to work. Thanks to the efforts of this doctor and the volunteer health services program, this man is now working, providing for his family, and has health insurance coverage so that he can stay healthy and working. HB 2615 would bring more stories like this to Kansas. If Governor Brownback wants to chalk up another win for individual liberty, signing HB 2615 is the best way to do it. This action would send a message that Kansas not only trusts its medical professionals to care for the needs of medically indigent citizens, but that they are better able to provide this care than any government program or insurance company could ever dream. 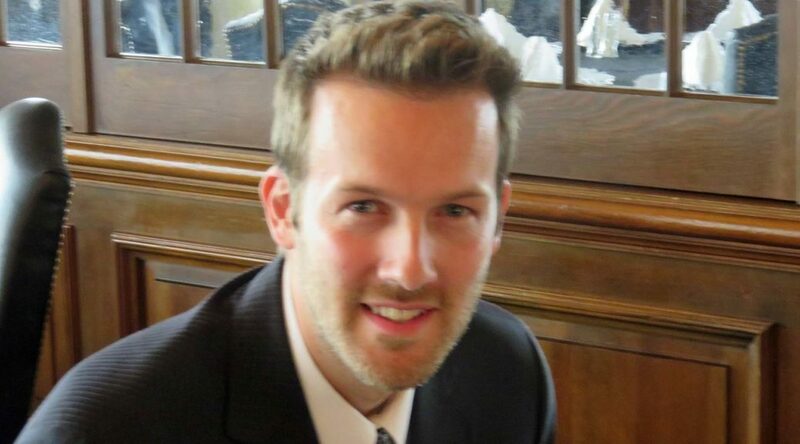 Andrew Brown is an attorney and Senior Fellow with the Foundation for Government Accountability. Kansas Governor Sam Brownback has another opportunity to promote and protect individual liberty by blocking expansion of an ever-growing regulatory state. This bill provides an opportunity to examine and reconsider the purpose of occupational licensure. 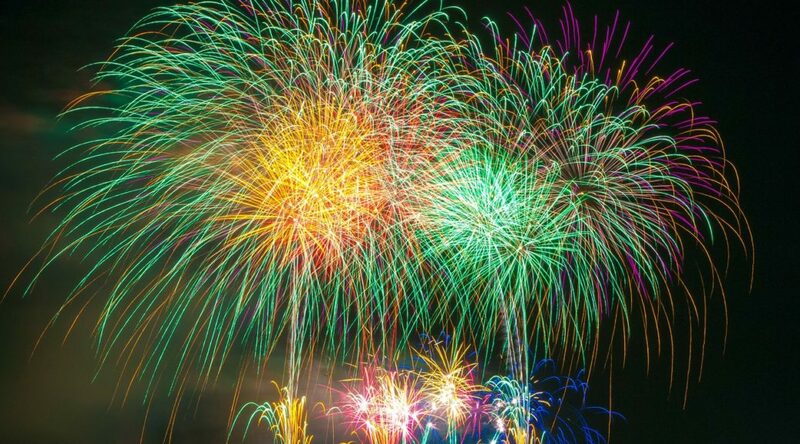 Most fundamentally: In the case of physicians and dentists, we trust them with our health, our very lives. Can’t we trust them to do whatever they believe is necessary to stay up-to-date in their field without the government requiring a specific number of hours of continuing education? By the way, how does the state of Kansas know how many hours of continuing education are necessary to stay current? Is it the same in all branches of medicine and dentistry? That’s what the Kansas regulations imply. But HB 2615 will let physicians satisfy 20 hours of this requirement by providing 40 hours of health care to needy people. Having doctors perform routine medical care — doing their daily job, in other words — doesn’t seem likely to advance the “knowledge, skills, and professional performance” of doctors, which is the stated goal of the regulation. We have, therefore, a regulation that has a plausibly reasonable purpose — ensuring that physicians and dentists are up-to-date in professional knowledge — instead being used by the state to “encourage” them to provide free labor. Charity is good. It’s wonderful. It’s why I regularly engage in charitable activity. But it isn’t charity when government is forcing you to do something. I have a feeling that many healthcare professionals already provide much charitable care. But now Kansas wants them to enter into an agreement with the Secretary of Health and Environment to provide gratuitous services if they want credit for performing care as a way to avoid continuing education requirements. Again: If continuing medical education is necessary, why let it be avoided by providing charity care? By allowing the performance of routine medical care to substitute for continuing education, isn’t the state creating a risk to physicians’ regular patients? Governor Brownback has shown by his veto of SB 338 this year that he has the capacity to appreciate individual rights. In 2012 his veto of SB 353 shows he has an appreciation of the harm of burdensome regulation. Now, Governor Brownback has another opportunity to promote individual liberty and block the expansion of an ever-growing regulatory state. Reaction to the veto of a bill in Kansas reveals the instincts of many government officials, which is to grab more power whenever possible. When plunder becomes a way of life for a group of men living together in society, they create for themselves in the course of time a legal system that authorizes it and a moral code that justifies it. 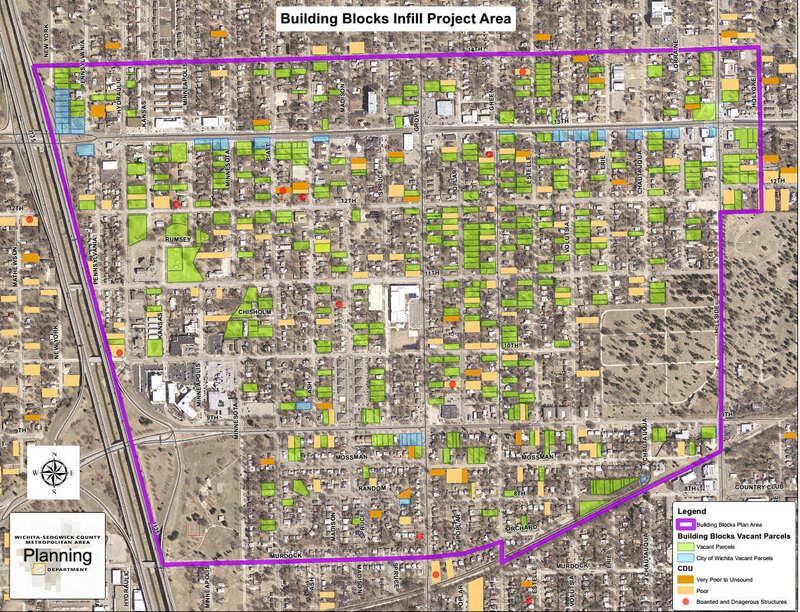 Kansas Governor Sam Brownback’s veto of a bill that gives cities additional means to take blighted property has produced reaction from local officials in Wichita. The bill is Senate Bill 338. 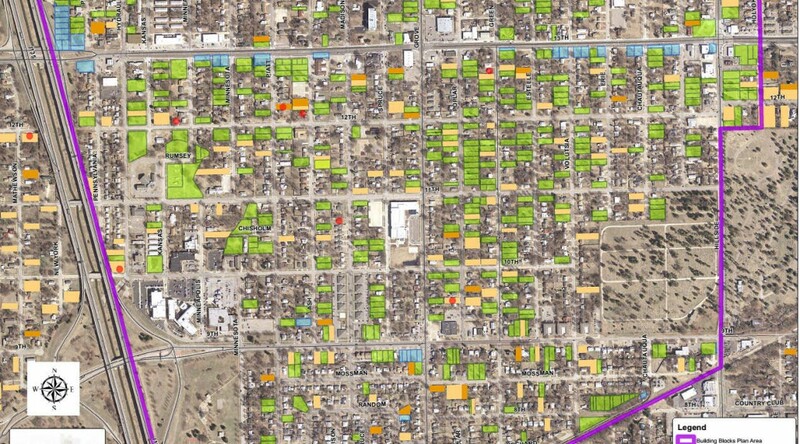 As has been noted in numerous sources, cities in Kansas have many tools available to address blight. 1 What is the purported need for additional power? In remarks from the bench, Wichita City Council Member Pete Meitzner (district 2, east Wichita) said there is no intent to be “aggressive in taking people’s property.” 2 But expanding the power of government — aggression, in other words — is what the bill does. Otherwise, why the need for the bill with its new methods and powers of taking property? And once government is granted new powers, government nearly always finds ways to expand the power and put it to new uses. Even if we believe Meitzner — and we should not — he will not always be in office. Others will follow him who may not claim to be so wise and restrained in the use of government power. It’s easy to sense the frustration of government officials like Wichita Mayor Jeff Longwell. In his remarks, he asked opponents of SB 338 “what they would do” when confronted with blight. That is a weak argument, but is often advanced nonetheless. Everyone has the right — the duty — to oppose bad legislation even if they do not have an alternate solution. Just because someone doesn’t have a solution, that doesn’t mean their criticism is not valid. This is especially true in this matter, as cities already have many tools to deal with blight. Proponents of SB 338 also make unfounded accusations about the motivation of opponents of the law. Because someone opposes this law, it doesn’t mean they are in favor of more blight. Those who fight for freedom and liberty are used to this. Advocating for the right to do something doesn’t necessarily mean that one is in favor of actually doing it. Note that Pilon mentions “excessive risk” as something that injures a neighbor. Some of the activities the city wants to control are things like drug dealing, drug usage, and prostitution that may take place on blighted property. And, I suppose it is a risk to have gangs dealing drugs out of the house across the street, blighted or not. But these activities are illegal everywhere, and there are many laws the city can use to control these problems. There is no need for new laws. When the Kansas House of Representatives and Senate voted on this bill, several House members submitted explanations of their vote. In the Senate, David Haley filed a protest and message explaining his opposition to the bill. These statements follow. MR. SPEAKER: I VOTE NO ON SB 338. 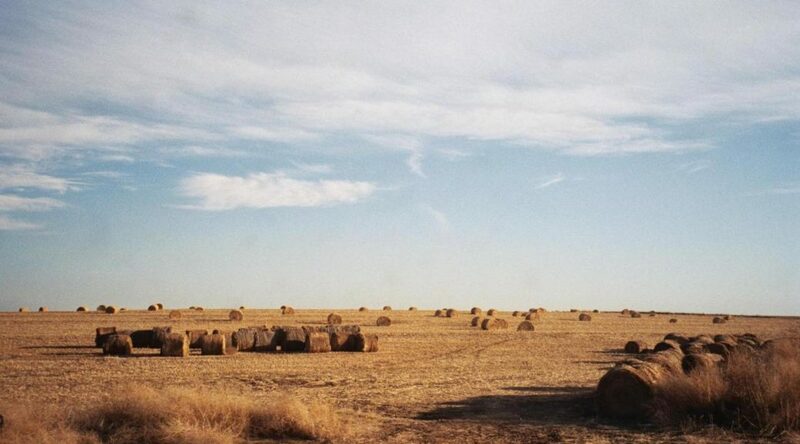 KANSAS ALREADY HAS SUFFICIENT TOOLS IN PLACE TO ADDRESS BLIGHT. SB 338 circumvents our current eminent domain statutes by redefining “abandoned property” and by allowing our local governments to expeditiously confiscate, seize or destroy law abiding citizens’ private property without compensation, adequate notice, and a legal property title. This is an egregious overreach that deprives some citizens of their private property rights without sufficient due process and it will cause irreparable harm to our most vulnerable citizens that do not have the resources to protect their property. In Accordance with Article 2, Section 10 of the Constitution of Kansas, I, David Haley, a duly elected Senator representing the Fourth District of Kansas, herein PROTEST the action of this Legislature in the promulgation and passage of Senate Bill 338: An Act pertaining to Cities. In my 23 years as a Kansas Legislator and as but one of only three attorneys in the Senate, this is the first PROTEST I have ever lodged on any measure of the thousands I have considered. This Chamber now further denigrates real property rights to which every Kansan should be heir. SB 338 which purports to grant authority to cities and nonprofit organizations to petition courts to possess vacant property for rehabilitation purposes will, simply, but legalize grand theft. The Senate Commerce committee as is its charge (and not the Senate Local Government committee where, justifiably, similar language as SB 338 had over many years failed time and time again) recognizes and advances business and financial opportunities for our State. First, the question of a city, redefining definitions of “abandonment” and “blight” as these terms apply to real property, land and or improvements, is the expertise of deliberations of a committee membership dedicated to the auspices of municipalities not the principles of profit. The principles of real property ownership should always inure to the rights of the citizen not to a developer’s bottom line or even a desire to enhance appraised valuations for tax purposes. Diabolical in its spawning, methodical and tenacious in its steady lurch forward, SB 338 adheres to two tiered definitions of “abandoned property;” both ingenuous and neither accurate. One definition of “abandoned property”: vacant for 365 days and having a “blighting influence” on surrounding properties; the other definition vacant for 90 days and 2 years tax delinquent. There are numerous every day scenarios whereby a real property owner has in no way “abandoned” their property though that same property may be vacant for 90 to 365 days, be tax delinquent for 2 years or may have need of rehabilitation to conform to a local standard, real or perceived. But SB 338 alleges “abandonment” and triggers governmental intrusion, harassment and potentially leads to a taking of real property by the government for the benefit of an organization which profits from the taking and kick back higher taxes to the city. The specious argument in favor of this legislation portends neighborhood beautification, tax viability and repopulation of or demolition and rebuilding of older houses. By eradicating “blight,” the entire community, even the city, is greatly enhanced. With that premise, I, David Haley, could not agree more. Today, with no need for warping and putting into statute time-honored definitions of “blight” and “abandonment” or presupposes new postulates for passages of time periods to correlate to real property owners’ interests or genuine concern with their legally owned land(s), there are tools already available to every municipality to address blight. “Code enforcement” departments can post notice and bring to environmental and district court negligent property owners. Subsequent to insufficient response, steep fines and even jail time can be issued now. Today in current statute, a property with two or more years of delinquent property taxes may be sold by the Sheriff of each Kansas County in a “Delinquent Property Tax Sale” also known as a “Sheriff’s” sale or as property “sold on the Courthouse steps.” Again, these are current tools available to curb or cure blight and to put real property into fiscally responsive ownership. The property rights of legal property owners should not be infringed upon by this Legislature. Marginal or fragile property owners (traditionally average income or poor property owners attempting to hold on to inherited property or an entrepreneurial hope structure as often found in inner cities) will be set upon by keen-eyed, out of county based developers sheltered by an industrious “not-for-profit” which uses the city and district court as the leverage to harass and ultimately take the land, all in the name of “civic pride” or “community betterment.” Theft. The late Kansas City, Missouri civil rights leader Bernard Powell (1947-1979) envisioned and warned of the transfer of inner city property back into the same hands of those who fled the same a half century or more ago to the sanctity of the suburbs. Bernard Powell predicted the day would come when government, and the tools they elect and hire, will work hand-in-hand with “robber barons” to turn those out; those who have despaired in neglected, under represented, often high crime, poorly educated neighborhoods, those who have weathered poverty, hard times, civic and civil harassment but yet held a real property interest, a “piece of the pie” … to force them out. Bernard Powell spoke of prosperity returning to the inner city and nothing being tendered to the people who had paid the price for the most sought after of land. He called it government assisting the turning of the “ghetto into a goldmine.” How prophetic. Here I sit, practically alone in my opposition to this expansion of eminent domain targeted at poorer property owners ill equipped to “fight City Hall,” in this Kansas Senate and watch this unfold. Again, SB 338 came out of the Commerce committee as well it should. Government has redefined terms before to shape shift often dastardly need to justify ill deeds. I remember efforts to redefine “blight” for economic purposes in another eminent domain taking for use in building the Kansas Speedway and Legends in Wyandotte County. Succinctly, the new definition of “blight” was the ability for exponentially more taxes to be levied against the future use of the land than that which the owner who it was being taken from could be expected to pay in its current use. Remnants of that economically fascist philosophy resonate in SB 338. As more people flee the “golden ghettos” of suburbia, the inner city “ghettos” will be repopulated and turned into “goldmines” at the expense I fear, once again, of the poor and unsuspecting. Ironically, we celebrated and honored some of our Korean and Vietnam War heroes today in the Senate Chamber. Was the freedom to own real property without fear of unwarranted government intrusion something for which they fought? I protest the passage of Senate Bill 338 as is my Constitutional right as a Kansas State Senator under Article Two, Section 10 of the Kansas Constitution for reasons, beliefs afore-listed as well as others not so and hereby vow to continue to assist unnecessarily embattled real property owners in my home District as we together will face the challenges that this bill, when signed into law, will undoubtedly bring. Wichita City Council members speak in opposition to Kansas Governor Sam Brownback’s veto of Senate Bill 338, which would have given cities additional power to take property. April 12, 2016. View below, or click here to view at YouTube. For more on this issue, see Governor Brownback, please veto this harmful bill.